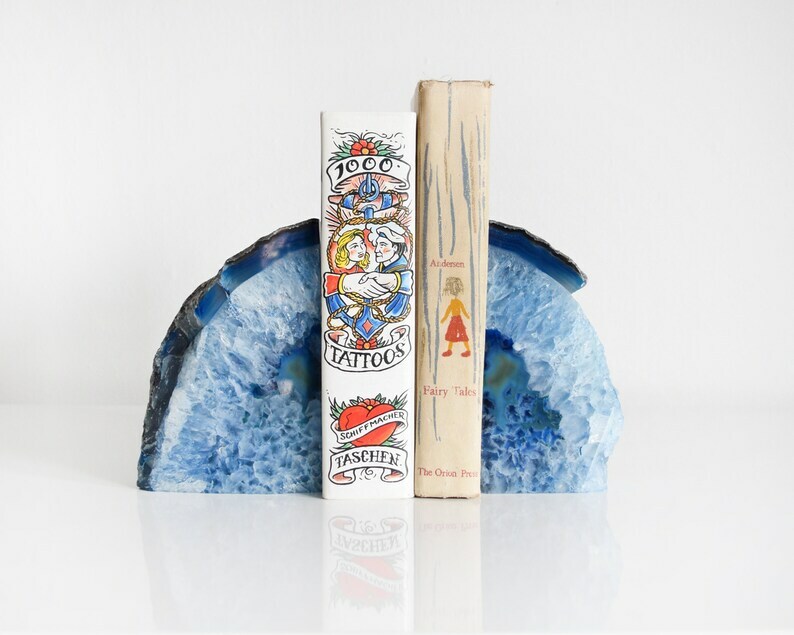 Fantastic pair of vintage blue agate quartz geode bookends. This set comes from Brazil, and has a gorgeous dark and light blue color. Clear polished sides. The backs are natural stone. There's one small nook on the larger geode that dips in, which is common with these rocks. Also the smaller geode is missing some stone on it's side, which probably happened while the geode was being split, please see the last photo. These are heavy, one weights around 3.7lbs and the other 2.5lbs. Height: a little over 5.5" / 5.75"